Youth training, personal fitness and nutrition. Live Fit - Youth Training Client of the Month! Meet Jonah. Jonah has gained 15 pounds of muscle over the last few months. He has achieved 11% body fat and has a lot more energy to get through his busy days at school. Jonah reports feeling stronger, more confident and having more endurance. 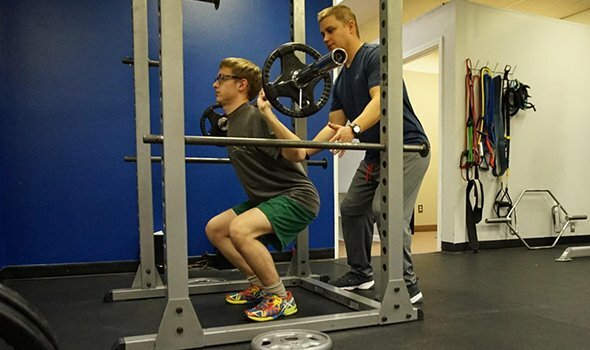 Jonah lifts weights three times per week with his trainer Mark and has really worked hard to eat better foods to help him build muscle. 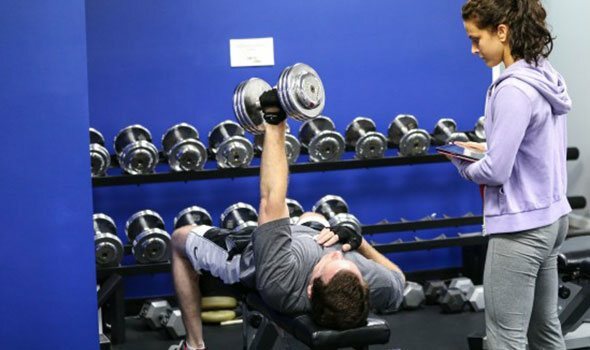 Live Fit personal fitness trainers are qualified to work with younger clients to help them get healthy and build confidence. 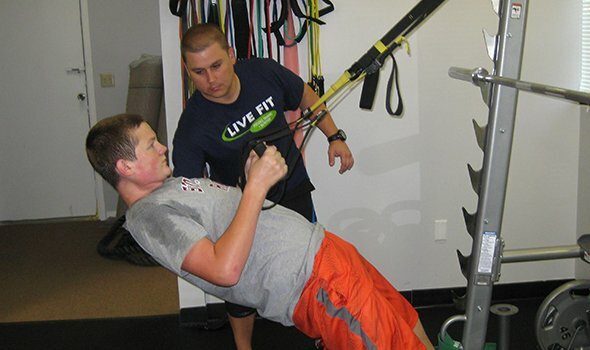 At Live Fit, we understand the unique nutritional and fitness needs that help kids with their overall fitness and improved sports performance. 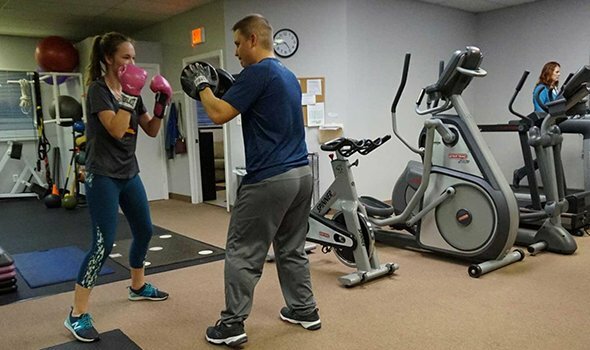 Each program is developed to educate our young clients on how to properly and safely exercise with the hands, encouragement and supervision of an experienced personal trainer. Live Fit helps give kids the edge they need to succeed at sports. Our Live Fit programs build stronger, faster and more agile kids. 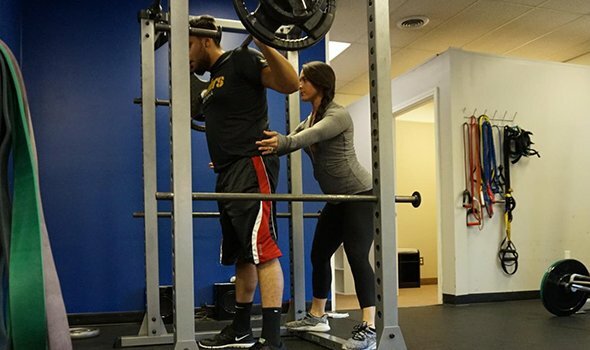 Each fitness and nutrition program is customized to meet specific athletic goals. One-on-one involvement with a Live Fit trainer and dietitian helps to build healthy habits that will last a lifetime. 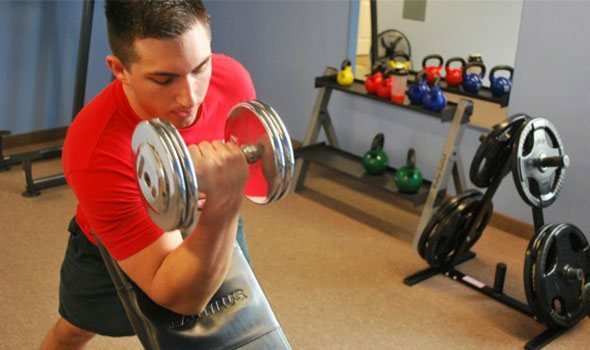 We develop your fitness plan based on specific exercises, as well as teach proper form and techniques that will get results. Live Fit’s youth fitness programs give your child or young adult the skills and motivation that they need every day to be strong, stay active and build confidence that leads to success. 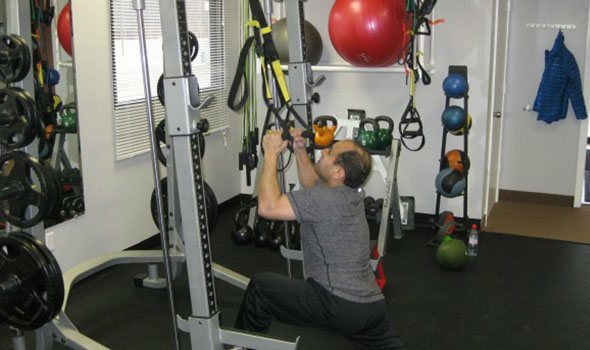 The Scorpions Exercise helps increase the range of motion in the shoulders, chest , hips and core. This is extremely beneficial and helps to avoid injuries to any young athlete that participates in a sport with rotational movement. 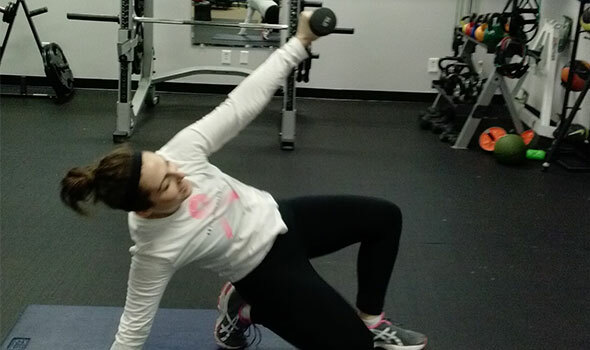 Incorporating lunges into a workout program strengthens the lower body including the hips, glutes and quads. 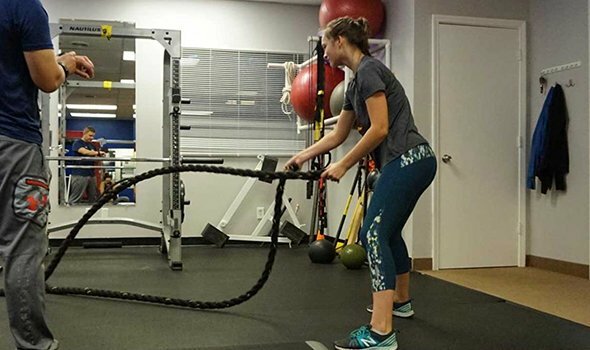 This exercise helps to burn calories, improve sprinting speed and other sport specific movements. 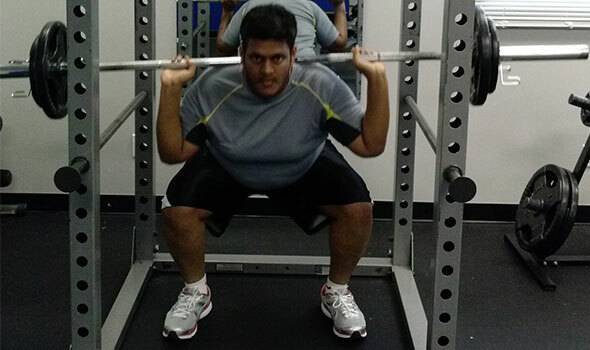 The Back Squat Exercise burns calories while developing strength and power throughout the lower body. This is a great exercise designed to increase their vertical leaping ability and other movements. 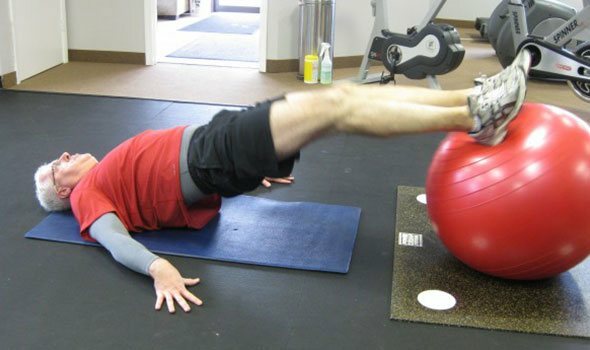 The Landmines Exercise is a rotational core exercise that builds core strengths. The heart rate is elevated, calories are burned and several muscle groups are developed including the legs and shoulders.